This introduction to Scheme programming is the sequel to Scheme Programming I. It is recommended that you read the Scheme Programming I article or that you have some background knowledge. The primary topic in this article will be writing loops with Scheme. Unlike most languages, Scheme is a very barren language with very few built-in constructs. Scheme doesn't even have for and while loops! In scheme, all loops are done through recursion. It is also possible to make iterative solutions, but we'll get into that towards the end of this article. Within this article I'll also describe the underlying differences between recursion and iteration (these differences are applicable to all programming languages, not only Scheme). Before we begin, note that '!' is the factorial operator in mathematics. For this demonstration, we'll start with a simple recursive procedure to find factorials. Recurrence Relation For Example: (n!) = n*(n-1)! So, (fact 3) will return 6. Let's walk through it now. 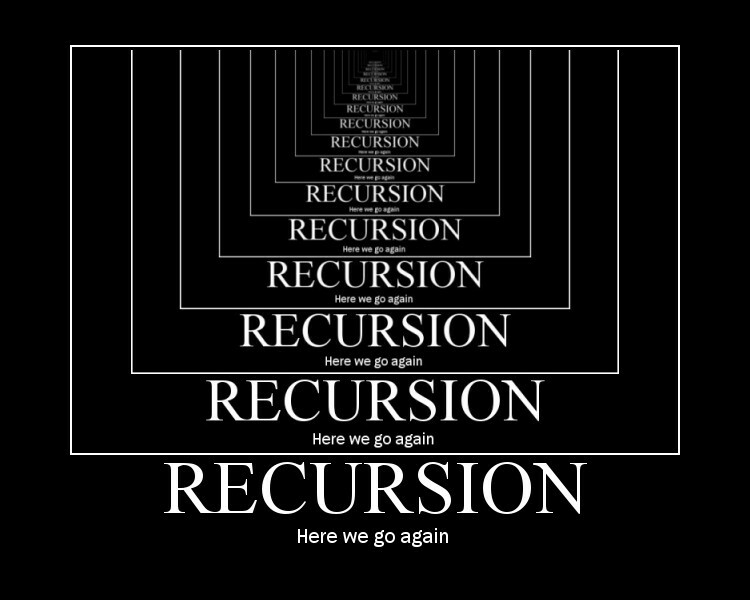 The key difference between iteration and recursion is that recursion needs to keep all of its calls in memory because it needs to come back to perform a calculation. So let's look at this one in depth. When you start, you call up (fact 3), which will result in 3*(fact 2), and (fact 2) is 2*(fact 1), and (fact 1) is 1*(fact 0), so once it reaches the 0, it has reached the base case which the procedure has a value for. So we end up with 1*1*2*3=6. Iterative methods will probably run faster since the stack takes up less space and the computer doesn't have to trace down the stack, but recursive procedures are still valuable. Some problems are just naturally solved recursively such as tree methods and Fibonacci sequences.